Roadside Attractions and FilmNation have come together for worldwide distribution of Miguel Arteta’s Beatriz at Dinner. The film premiered on Monday at the Sundance Film Festival and was met with praise for its two lead actors John Lithgow and Salma Hayek. Arteta is known for films such as Youth in Revolt and Cedar Rapids. This is FilmNation’s US distribution debut, formerly staying in the realm of international rights. The two companies have collaborated before on Mr. Holmes, All is Lost, and A Most Wanted Man, with Roadside handling domestic distribution, and FilmNation foreign distribution. 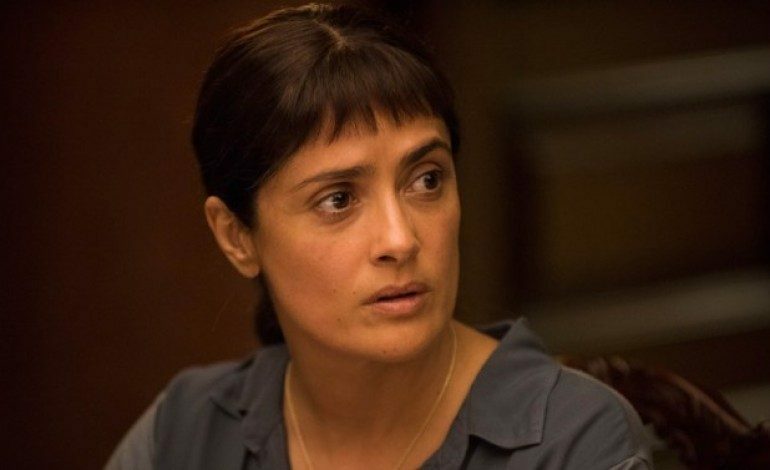 Beatriz at Dinner follows a Mexican-born woman named Beatriz (Hayek) who moved to the United States and built a career as a health practitioner and healer. She is invited to a family dinner of a client that she nursed back to health and there she meets a billionaire (Lithgow) with whom she goes head to head for the length of the evening. Their meeting changes each of their lives forever. Based on the plot summary, it sounds like this film will be quite topical based on our current political climate. The film, written by Mike White, also stars Connie Britton (Me and Earl and the Dying Girl), Jay Duplass (Amazon’s Transparent), Amy Landecker (Amazon’s Transparent), Chloe Sevigny (Love & Friendship), and David Warshovsky (Taken).